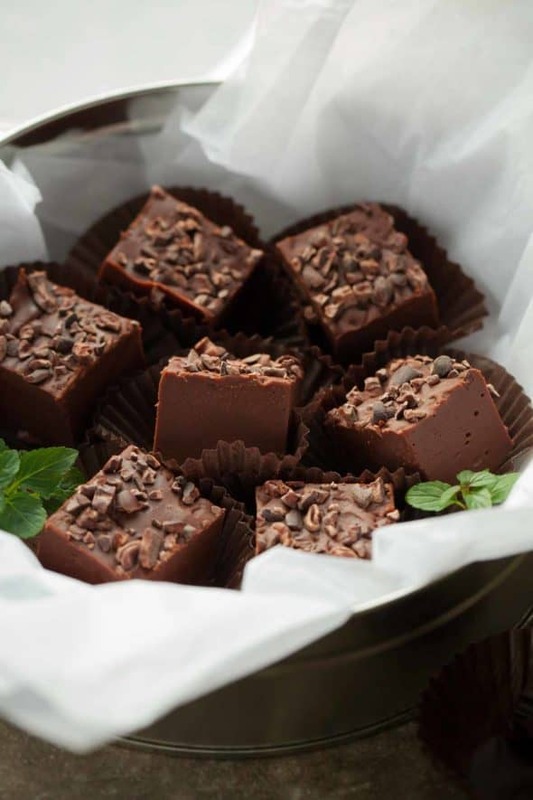 Soft and smooth, this vegan 5 minute chocolate peppermint fudge makes a nice addition to a party platter or hostess gift. 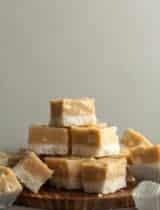 Despite all the sweets we partake in round about now, the holidays never seem quite complete without making at least one batch of fudge. Chocolate peppermint fudge to be exact, because if there’s any way to improve on an old favorite this time of year, it’s with peppermint. 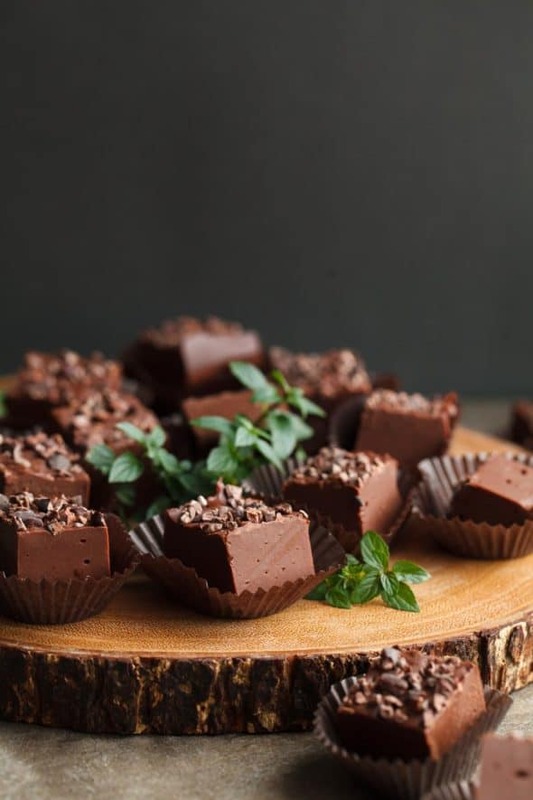 The chocolate mint duo is one of my favorite wintry combos (cool mint is such a refreshing foil to chocolate’s richness) and I like to make this fudge in particular because it’s the kind you throw together at the last minute the night before you need it. 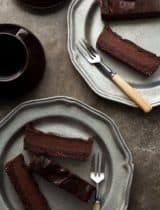 It doesn’t require any special equipment and only about 5 minutes of active prep time (which is always much appreciated), but is creamy and deeply chocolaty with just a little bit of chew as you bite into it. It’s also dairy-free and every bit as good as the original but about 90% easier. 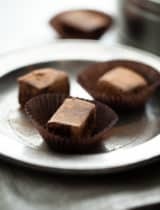 The fudge is made in a matter of minutes on the stove top and left to cool for a bit, at which point you stir like crazy to beat air into the mixture to get that alluring fudgy chewiness. 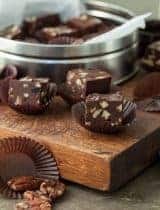 Instead of artificially colored peppermint candies, you combine cacao nibs and peppermint extract (or essential oil) to create a crunchy peppermint topping. An overnight rest in the fridge uncovered allows a slight crust to form and sets the texture so that it’s creamy on the inside and crunchy on the outside. So spread some chocolate peppermint cheer this year, just be sure to save yourself a piece while you’re at it! 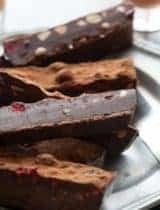 Soft and smooth, this vegan 5 minute chocolate peppermint hot cocoa fudge make a nice addition to a party platter or edible hostess gift. 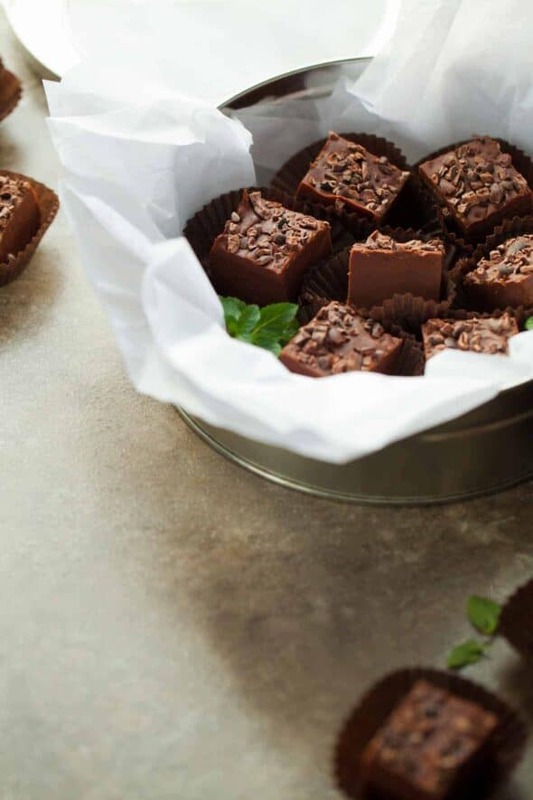 LINE 8-inch square (or 9x5 for a thicker fudge) baking pan with parchment paper. 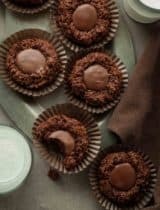 Melt chocolate, sweetened condensed milk and a pinch of salt in medium, heavy-duty saucepan. Stir constantly until smooth and chocolate is fully melted. Remove from heat and set cool until just warm to the touch (about 2-3 minutes). Meanwhile in a small bowl mix together cacao nibs and peppermint extract. Using a wooden spoon , beat vigorously until mixture lightens in color and loses its sheen. 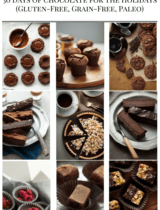 Spread chocolate mixture evenly into prepared pan and top with peppermint cacao nib. Refrigerate for 2 hours or until firm. Lift from pan; and cut into pieces. I want some!!! I've never heard of sweetened condensed coconut milk before. Very cool! Peppermint chocolate is amazing! I like that you used coconut milk in the recipe. I just made this and it is absolutely delicious! I'd bought a can of sweetened condensed coconut milk awhile back so I was excited to find a recipe where I could use it. 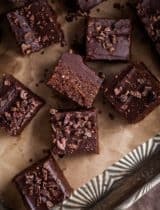 It definitely took me more than 5 minutes to beat the fudge to the right retire, but aside from that this recipe is perfect! My fiancé and I can't stop eating it. And by retire I meant texture lol! So glad to hear you both enjoyed it!